Join us May 14 in Chicago for “Law Firm Business Growth Collaborative Clinic,” a workshop designed to help attorneys develop and grow their businesses. This unique, collaborative program is led by Stuart Teicher to help attorneys: find solutions to common and not-so-common dilemmas in law firm marketing, advertising, and business development; learn concrete ideas for improving business, including how to use social media and YouTube to grow a practice and develop a business plan that actually makes a difference; and gain powerful insights on the kinds of communications skills that lawyers need to connect with clients. Q. I am the sole owner of a six-attorney personal injury firm in San Francisco with five support staff. My father started the firm 25 years ago and has since retired from practice. I took over the practice five years ago. At the time I took over the practice, we had just my dad, myself, a couple legal assistants, and no technology. Since then I have done a lot to grow the practice, including adding attorneys and staff as well as implementing technology. My biggest problem is training new attorneys and staff. 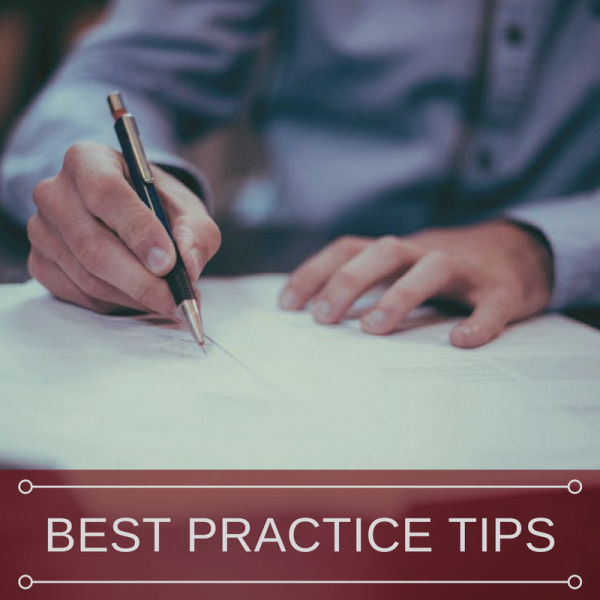 We have no written documentation as to how we do things, so training has to be done orally by myself or others every time a new attorney or staff member joins the firm. Can you offer any suggestions? Only $25! This program is underwritten by Tomasik, Kotin Kasserman, LLC, allowing registrants to attend for $25. Learn how you, as an Illinois attorney, can help this growing and highly vulnerable population! Don’t miss this half-day seminar on May 17 in Chicago that examines the unique set of challenges facing girls in the Illinois foster care system and as unaccompanied immigrants. Girls in the Illinois foster care system and those who cross U.S. borders as unaccompanied immigrants are a particularly vulnerable population with heightened risks for abuse and exploitation, including sexual and domestic violence and human trafficking. Attorneys with a basic level of practice experience in child law, immigration law, or with an interest in assuming pro bono activities to assist girls in crisis and who attend this seminar will better understand: the Illinois foster care system and its basic functions; the unique risks facing girls in the Illinois foster care system; the increasing numbers of minor girls crossing U.S. borders unaccompanied by adults, their fate upon arrival, and the dangers they face; state and national policies and practices that operate to increase risks against girls; and what Illinois attorneys can do to help this vulnerable population. ISBA Director of Legislative Affairs Jim Covington reviews legislation in Springfield of interest to ISBA members. This week he covers condos and associations, special interrogatory, the Home Repair and Remodeling Act, the Condominium Property Act, consumer debt and collections, DUI, and student interrogation. Attorneys Kelli Gordon and Ashley Davis discuss the new maintenance statute in Illinois. If it’s been a few years since a personal jurisdiction issue has come across your desk, you may want to take note of a recent decision by the first district involving General Electric Co. (GE). The case of Campbell v. Acme Insulations, Inc. powerfully illustrates how Illinois courts are continuing a clear legal trend in limiting the availability of general or “all-purpose” personal jurisdiction over nonresident defendants who are sued in Illinois courts. In Eric Muñoz’s April Illinois Bar Journal article, “GE May Bring Good Things to Life, but It Does Not Bring Personal Jurisdiction in Illinois, ” Muñoz, a partner at Scandaglia Ryan, shows, in light of Campbell, how non-Illinois-based companies, with significant and longstanding business and financial contacts in Illinois, like GE, may be unamenable to general jurisdiction in the state. Counsel on both sides of potential litigation would be well-served to appreciate the implications of this important legal trend in personal jurisdiction caselaw and to be prepared to aggressively incorporate these developments into their litigation and defense practices. Voting is now underway in the 2019 ISBA election. Voting closes at 4:30 p.m. on Tuesday, April 30. Michele Stuart is back again with even more tips and advice for unearthing the details and facts you need for your case! Get the insider knowledge you need to successfully conduct investigations in your cases with this full-day seminar on May 22 in Chicago. Learn how to use Facebook to ascertain information, Instagram to geo-locate individuals, and Twitter to follow hashtag conversations. Discover which open source options can give you the results you need when gathering information and how to use them.